The NSW Deputy Premier and Minister for the Arts, Troy Grant last Thursday 11th of August unveiled working designs for the largest program of upgrades to the Opera House since it opened in 1973. The Renewal projects will open more of the Opera House to the public, improve access and ensure it meets the needs and expectations of audiences, artists and the 8.2 million people who visit each year. Create a welcoming, car-free entrance under the Monumental Steps, and improve access to a more comfortable and inviting main foyer. The most exciting part of this announcement for Sydney families is that for the first time, the Sydney Opera House will have a dedicated space for children and young people to experiment and learn in a building that embodies creativity and innovation. The Creative Learning Centre will be a flexible space hosting workshops, creative-play activities, talks and performances, and will also include a separate space for a permanent digital classroom. With the latest technology, students from Punchbowl to the Pilbara will be able to work with artists in programs spanning drama, music, maths, science, literature, history, Indigenous Australia and other study areas. At the Creative Learning Centre, students will learn to collaborate in ways that foster creativity, problem-solving and innovative-thinking. They also will be able to create their own broadcasts. This project transforms existing office space in the building's north-western corner to maximise public enjoyment of the extraordinary public asset that is the Opera House and enable artists, Opera House resident arts companies and creative-learning specialists to inspire young people, from ages 5 to 18. Construction is expected to start in late 2017. 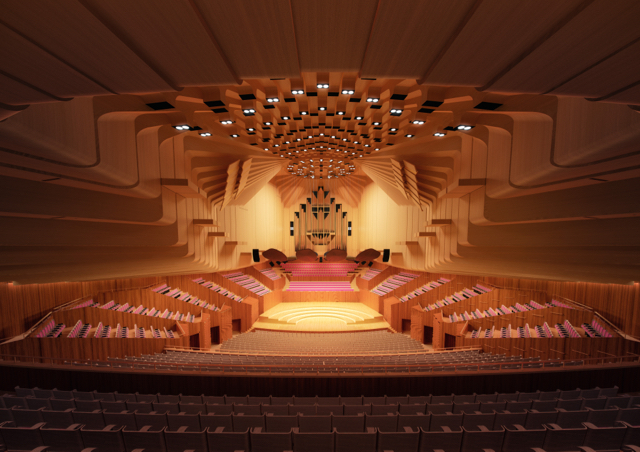 For more information, head to the Sydney Opera House's dedicated Renewal projects page.